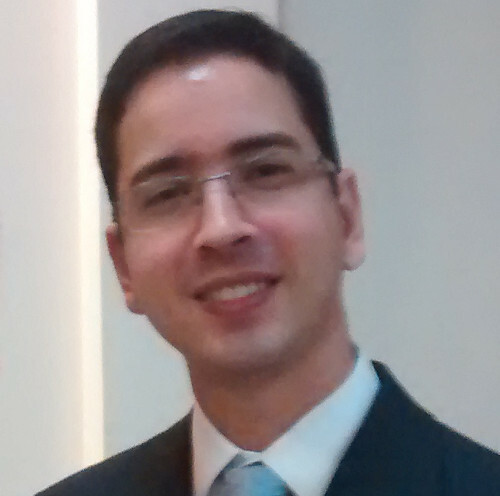 I am a PhD student in Computer Science of Institute of Computing at University of Campinas (UNICAMP), Brazil, since September 2014. Master in Computer Science from Computing Department at Federal University of Sergipe (UFS), 2011-2013. Bachelor of Computer Science from Computing Department at Federal University of Sergipe (UFS), 2005-2009. I work at Laboratory of Information Systems (LIS) at Institute of Computing under supervision of Prof. Claudia Bauzer Medeiros, Ph.D. I hold a scholarship from São Paulo Research Foundation (FAPESP). I have done research in several fields of Computer Science such as Recommenter Systems, Software Engineering, Interactive Digital Television (iDTV) and currently working with Scientific Data Management. Former member of Image Processing and Artificial Intelligence Research Group (Pii/CNPq) at UFS, under advisement of Prof. Hendrik Teixeira Macedo, PhD. My thesis is focused on designing tools and methodologies to foster collaboration among scientists from different disciplines. This collaboration is based on reuse of experiment modeled as scientific workflows. Our ultimate goal is to develop a workflow repository supporting new retrieval mechanisms based on provenance data and ontologies. This project is in the context of CEPID / CCES (The Center of Computational Engineering and Sciences) at Unicamp, Campinas, Brazil. The CCES congregates experts from 6 different domains -- Computer Science, Chemistry, Physics, Biology, Applied Mathematics and Mechanical Engineering and is funded by São Paulo Research Foundation (FAPESP). My advisor is professor Claudia Bauzer Medeiros, PhD. Av. Albert Einstein, 1251. Cidade Universitaria. Zip Code 13083-852. Campinas, São Paulo, Brazil. Laboratory of Information Systems (LIS), room 93. To previous publication before 2016, please see my Google Citation. This research proposal aims at investigating how to track and analyze the evolution of computational experiments, as scientists iteratively design, execute, share, and reuse their data analysis workflows. This will allow the analysis and comparison of workflow versions and how different workflow executions relate to each other. Our ultimate goal is to foster knowledge capture, reuse and understandability of experiments.We will base our approach taking advantage of (database) versioning and provenance models. The goal of this project is to provide a common data infrastructure to all researchers in the CCES Center, supporting sharing and reuse of data and models used and/or produced by the Center . The idea is to adopt the notion of scientific workflows as the basis to specify executable models, and create a common computational platform to design, annotate and reuse such workflows. 2015-1S: Object-Oriented Programming (MC302) - Computer Science - Teacher Training Internship under supervison of Prof. Fernando Vanini, MsC. Work partially financed by São Paulo Research Foundation (FAPESP, grant 2014/23861-4 and 2017/03570-3) and FAPESP/CEPID CCES (grant, 2013/08293-7). The opinions, hypotheses and conclusions or recommendations expressed in this material are those of the author(s) and do not necessarily reflect the views of FAPESP.